The logic to the next stage of the build was to put on the roof timbers and roofing felt, followed by laying of the concrete floor. Michael the Carpenter, with circular saw set up in the driveway and nail gun in hand, set to work on the timbers. Things were going well and I was amazed how quickly the roof was taking shape. Then, there was the knock on the door, “We’ve been thinking”. “Sounds good, go ahead”. 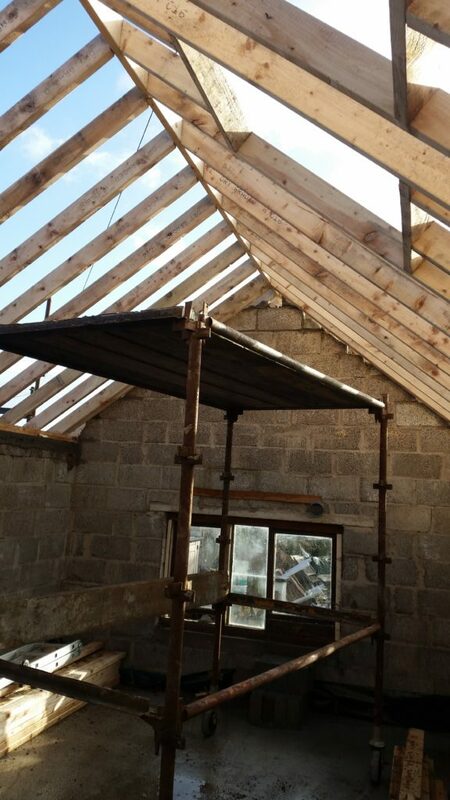 That got us to completion of the roof timbers and then it took only one more day to attach the roofing felt. Now it would have only taken another day to fix the roof tiles, but there was that knock again on the door “We have a problem”. Michael the Carpenter explained that the building materials supplier had said “yeh, we have enough of those in stock”. Often they say this when they haven’t, but know that going by the delivery date they will have them ordered in with time to spare. You’ve guessed haven’t you? Yes the chap behind the counter at the builder’s supplier forgot to order the extra amount of tiles. They offered to deliver what they had, but Michael said that wasn’t any good to him as he can get all the tiling done in one day. So off Michael the Carpenter went to another job and we waited a week for our tiles. Meanwhile, John the Builder appeared with Eugene, a younger and fitter helper, who seems to know no pain. Eugene got to work on the garage floor with a Kango Hammer Drill. After several wheelbarrow loads of rubble had been dumped on the front lawn, the floor was level. Massive sheets of thick plastic were laid for the damp-proof course (DPC). A DPC prevents moisture movement known as rising damp. You may be thinking, “ah this is the bit where moisture comes into the story”: it does, but not in such an obvious way. Next to arrive on site was the most enormous cement mixer ever! Talk about overkill. This is good time to introduce the “spade meeting”. An important moment in any building work is where the work stops and everybody gathers together, rests on their spades, and discusses what happens next. Our participants for this vital meeting were John the Builder, Eugene and Cement Mixer Driver. Finally, after a nodding of heads, John the Builder comes over and says, “We’ve been thinking. Because it’s a lot of concrete, rather than use wheelbarrows, we want to use ‘the shoots’. 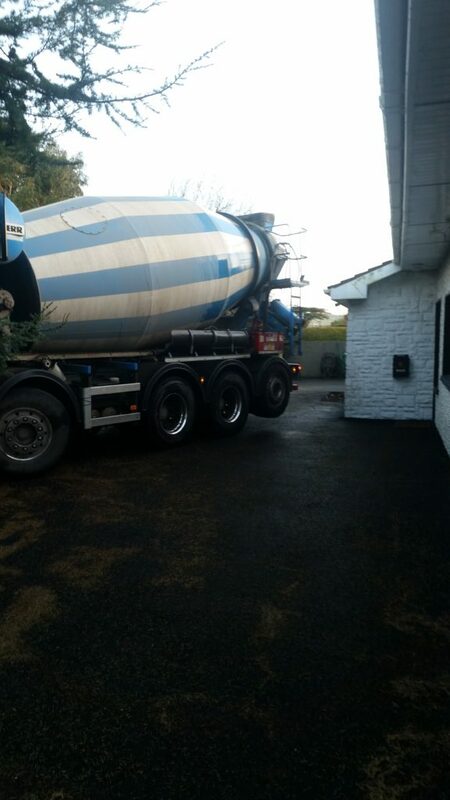 But the mixer, being out on the road, is too far from the garage, so the driver thinks he can back the mixer in”. So, we had Cement Mixer Driver in his cab, John the Builder directing from the road, me watching the clearance to the walls in the driveway, and Eugene directing from the rear. 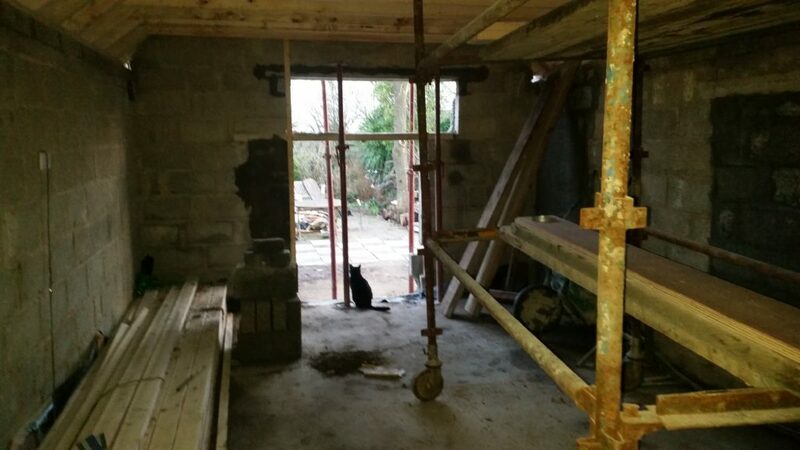 Eugene’s main function was to make sure the mixer didn’t take the roof of the house……it was a close thing. Mixer was now in place, the shoots were set up and the concrete was run onto the DPC and levelled by John the Builder and Eugene. The openings to the garage shell were boarded up to keep any rain out and the concrete was left to set, or as they said “to go off”, a strange term to use, I thought. Now this is where the moisture bit comes in. I’d always thought that with concrete, when you add water a chemical reaction takes place, then it dries hard. Which, on the face of it, that’s what you see happening, apart from the chemical reaction of course. There are different ways of working out when concrete has set. One way I heard about a long time ago, was that moisture in the concrete can be measured by placing a Water Activity meter onto the surface of the setting concrete. When the Water Activity value gets below a specific value the concrete is ready to be built on. I’m just mentioning this method because another name for Water Activity is Equilibrium Relative Humidity, something I described in Chapter 3 of my eBook A Wet Look At Climate Change. What I didn’t know, until researching for this blog post, is that it is not simply a matter of concrete drying off for it to set. The chemical reaction depends on a high level of moisture remaining in the concrete for a length of time. If the wet concrete dries too quickly the bonding of the materials is incomplete and the concrete is “weak”. In the situation of our garage floor keeping the humidity high for several hours was not difficult. The wet concrete would have released moisture into the air as it was laid. By sealing the garage shell openings the moist air was trapped inside above the concrete. Water cannot evaporate from a damp material into the surrounding air unless the relative humidity of the air is below a certain level. So just like where I talk about drying clothes on a damp day in Chapter 2 of A Wet Look At Climate Change, a high level of moisture will have stayed in the concrete. The level of humidity needed to get something dry depends on the type of material and how much moisture it contains. So the wet concrete was left to “go off” doing its own chemical thing in a world of moisture. By the following day the concrete was hard enough to walk on. Now we were moving to next phase of the renovation. During this phase the garage shell was opened up to work on various other parts. When the weather allowed, the opening was left open to dry the concrete. 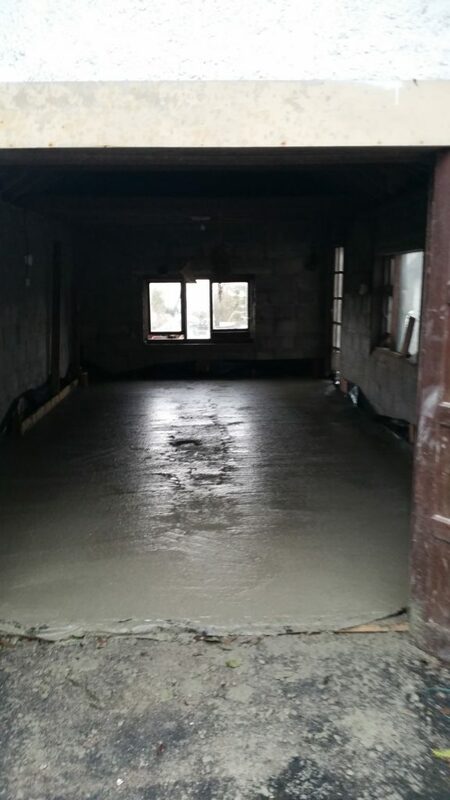 It would be some time before a floor covering was to be laid, and for that to be done the concrete cannot be releasing moisture. If a floor covering is put onto the concrete too soon, moisture would build up under the covering, causing mould to grow and other problems. Watson’s thinking that somethings changed…….